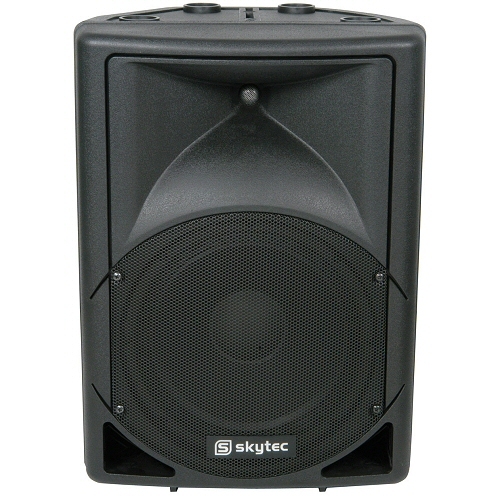 The Skytec QTX Sound 12″ speaker has a built in 250 watt rms amplifier. 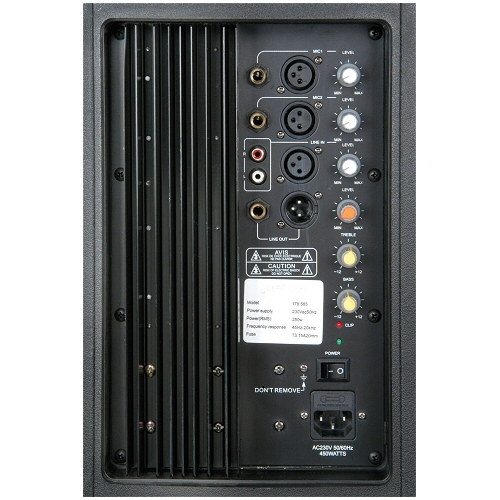 The rear of the speaker has a mixer with 2 inputs for microphones and 1 line input which can be used for connecting to a DJ mixer, or connecting to a CD player or Ipod with an optional lead. 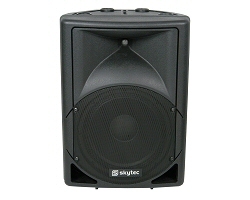 This speaker has many uses ranging from mobile discos used in pairs to presentation, education and fitness classes. 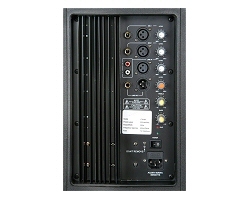 Can also be used as a wedge monitor for live entertainment.